Your Trusted La Porte Dentist in Accepting New Patients! We believe everyone has unique oral health needs, which is why we create individualized solutions to create generations of healthy, beautiful smiles. We take the time to get to know our patients to listen to their concerns and discuss their goals to build trusted relationships. We explain your treatments to you because we want you to feel confident in your decisions while on your journey to optimal oral health. We know your loved ones are more likely to maintain their dental appointments if they are stress-free. We want you to enjoy your time in our office, which is why we make it our mission to provide comfortable, compassionate care. Our office embraces the latest advancements in dentistry to enhance your comfort, like digital x-rays. Now, you no longer need to bite on uncomfortable film strips. You can enjoy a safer and simpler solution with digital technology. With everyone having different comfort levels, we take the time to help each patient relax to feel at ease. If you have dental fears or need an invasive treatment, we can help you have a stress-free appointment with sedation dentistry. 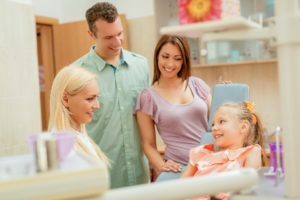 With the right dental team by your family’s side, you can invest in their oral health for many years to come. At Region Dental, we treat your family as our own while we provide the high-quality dental care they deserve. If you need a new dentist, contact our office today to schedule an appointment. We look forward to meeting you. Region Dental believes in the power of gentle, personalized care. We create customized solutions catering to your individual needs. We take the time to build a trusted relationship with you because we want to provide you with the services you need for many years. We offer a variety of services to keep your family’s teeth and gums healthy. Contact our office today to experience a different side to family dentistry.